The Internet Protocol version Six (IPv6) Council in Nigeria has adduced need for early migration and adoption in the country, especially in the Information and Communication Technology sector, reports ITRealms. Speaking during a courtesy visit to Internet Solution Nigeria, a leading Internet Service Provider in the country, Council chairman, Mr. Muhammed Rudman, noted that the visit was designed to interact with Internet Solutions Nigeria, which the Council believes could be paving the way towards the realization of IPV6 migration, which is seen globally to provide enhanced Internet service experience. Rudman decried the low level of IPv6 ready networks, as well as usage in Nigeria, despite the fact that the country occupied first and eight positions in internet usage in Africa and the world respectively. “We are worried that some countries in Africa have started migrating to IPv6 networks, yet Nigeria that prides itself as number one in terms of Internet usage in Africa is not making a serious move,” he said. He commended Internet Solutions for deploying IPv6 on its network and urged other service providers in the country to consider migrating to IPv6 for Nigeria to maintain its position in Africa and move higher in the global ranking. He also said that migrating to IPV6 would create more robust and realtime end-to-end Internet connectivity and avert the possible blockade from the exhaustion of Internet Protocol version Four (IPv4) addresses. Responding, the Head, Network Operations at Internet Solutions, Mr. George Olunwa said that Internet Solutions has since deployed and advertised IPv6 block on the Internet, but the challenge is largely apathy from the enterprise customers, who are yet to see a pressing need for the implementation of IPV6 on their networks. While thanking the IPV6 Council Nigeria for the advocacy visit and efforts so far, Olunwa assured that Internet Solutions would continue to push the idea of implementing IPv6 to its customers, admitting that the cost of migrating from IPv4 to IPv6 is next to nothing. “What we have seen is that most of the clients are still going for IPV4, even though the cost of getting IPv6 is minimal. But, we believe that with this sort of advocacy being carried out by the IPv6 Council Nigeria, service providers as well as enterprise networks will begin to see a need for the deployment. He also suggested a possibility of providing virtual lab for IPv6 within country, saying that will assist towards capacity building which can help to upscale the deployment and adoption of IPV6. An Internet Protocol (IP) address is essentially a postal address for each and every Internet-connected device. Without one, websites will not know where to send the information each time a person performs a search or try to access a website. Pix 1 -Courtesy Visit: L-r Chairman, Communication & Advocacy Committee (CAC) IPv6 Council Nigeria, Remmy Nweke, Council Member, Chief Chris Uwaje, Finance Manager, Internet Solutions (IS), Safiriyu Abiodun Rosenje, Chairman, IPv6 Council Nigeria, Mr. Muhammed Rudman, Project Manager IS, Ms Ifeoma Egbe, Head, Network Operations, Mr. George Olunwa, and member CAC, Mr. Chike Onwuegbusi, during a courtesy visit by IPv6 Council Nigeria to Internet Solutions, recently in Lagos. 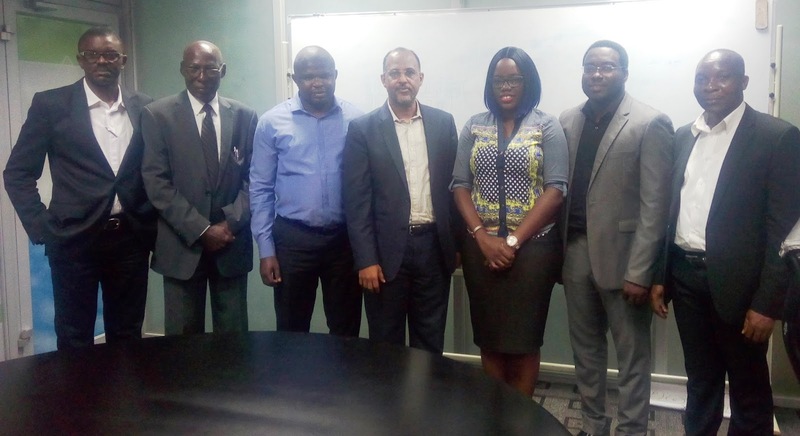 Pix 2 -Courtesy Visit: L-r Member, Communication & Advocacy Committee (CAC) IPv6 Council Nigeria, Council Member, Chief Chris Uwaje, Chairman, IPv6 Council Nigeria, Mr. Muhammed Rudman, Project Manager Internet Solutions (IS), Ms Ifeoma Egbe, Head, Network Operations, Mr. George Olunwa,Finance Manager, Internet Solutions (IS), Safiriyu Abiodun Rosenje, and Chairman, CAC IPv6 Council, Mr. Remmy Nweke, during a courtesy visit by IPv6 Council Nigeria to Internet Solutions, recently in Lagos.